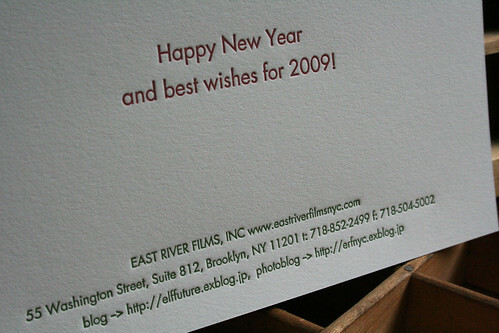 The word ‘photoblog’ caught my eye on that holiday card – but I can’t seem to get to the page. Is it http://erfnyc.exblog.jp? 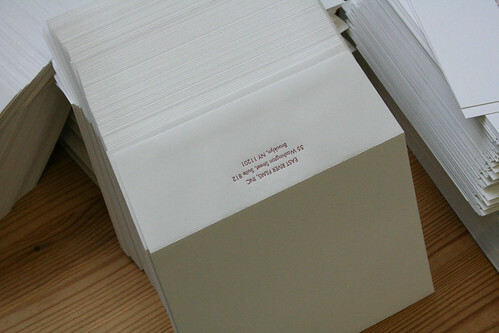 I’m fascinated by the austere look of these cards. The state of the economy has an impact on our spending habits, but I wonder if that filters through to our lettering choices as well, i.e, embellished vs. plain? In times like this we cut out anything unnecessary.